16 | July | 2010 | Watts Up With That? Albuquerque has reached a tipping point! July 16, 2010 in Climate data, records, Weather. 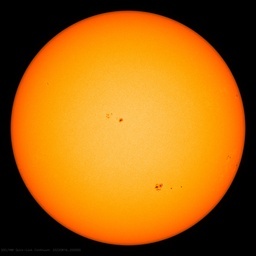 Sol and NOAA predictions have a gap. Here are some other graphs. The Ap magnetic index is up at least, but radio flux lags just like the spot count. July 16, 2010 in Solar. July 16, 2010 in Oceans, Science.